The Farm Labor Organizing Committee Medical Clinics and SCORE Medical Missions of the Filipino Association of Toledo led by Dr. Richard Paat used the FLOC office in Dudley, NC as homebase to provide medical care to farm laborers and community members in the rural and remote areas of North Carolina in the aftermath of Hurricane Florence. 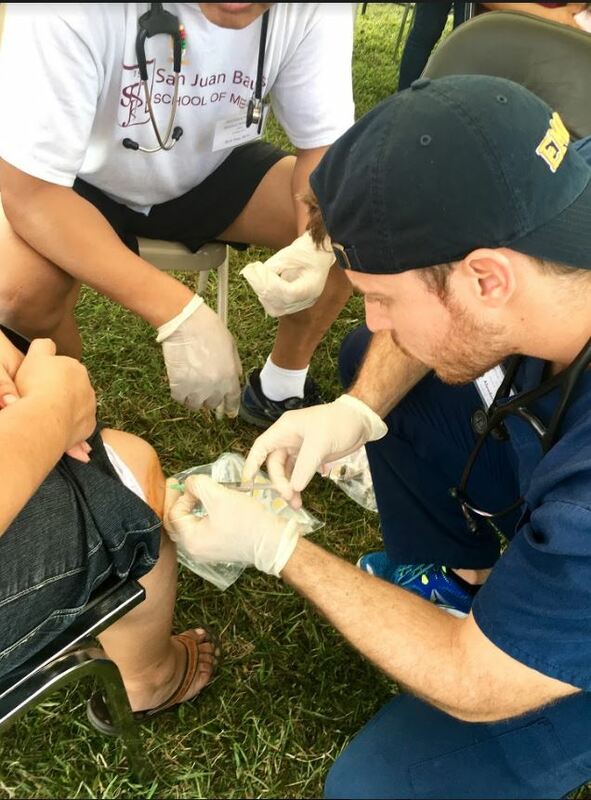 The disaster medical relief team included doctors and nurses from the Toledo area, University of Toledo medical students, and medical students from San Juan Bautista Medical School in Puerto Rico. They left for North Carolina the morning of Friday, September 21st and returned the afternoon of Monday, September 24th. The team slept on the floor of the Farm Labor Organizing office in Dudley, NC. Local Latino church congregations took turns providing them with food and water. The saw hundreds of patients and provided them with free medicine. The dues from members of the Farm Labor Organizing Committee as well as the donations of time from Dr. Richard Paat and SCORE Medical Missions as well as donated medicine made this possible. FLOC continues to be available to the farm laborers and local community even after the medical clinic and in the aftermath of Hurricane Florence. FLOC represents 10,000 agricultural laborers, that work and live in the North and South Carolina—many were affected by Hurricane Florence. Those interested in helping FLOC provide ongoing hurricane recovery for their members in the rural and remote farms on the coast and for eastern North Carolina communities can donate at floc.com or by calling our Toledo office at: 419-243-3456. Donations to SCORE (a non-profit 501(c)(3) organization) can be sent to: 5755 Monclova Maumee, OH 43537. Previous Post:Olympian Harvesters Deserve A Fair Day’s Pay for Hard Work! Next Post:Major Victory For Us!